Heat oven to 375°F. 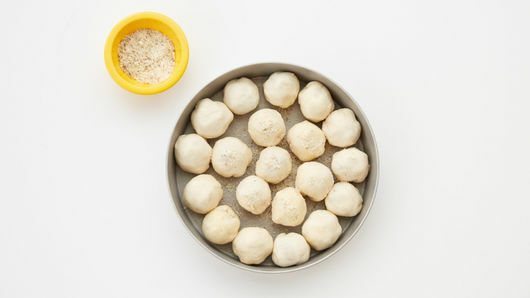 Separate dough into 10 biscuits. Separate each biscuit into 2 layers. 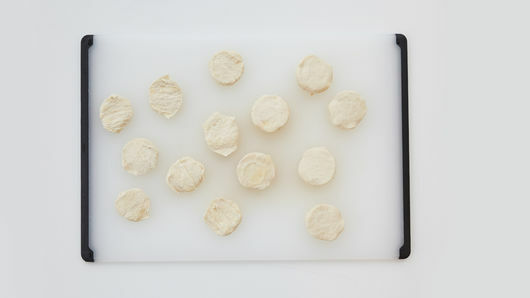 Press each biscuit layer into 3-inch round. 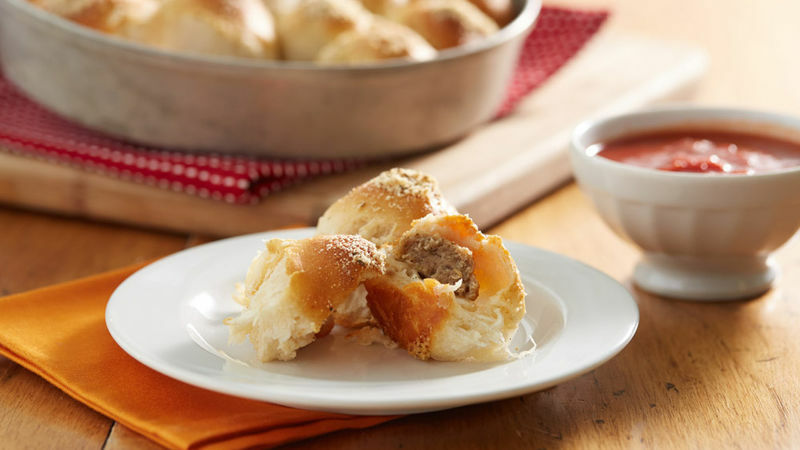 Place 1 meatball half, cut side up, and 1 string cheese piece in center of each dough round. 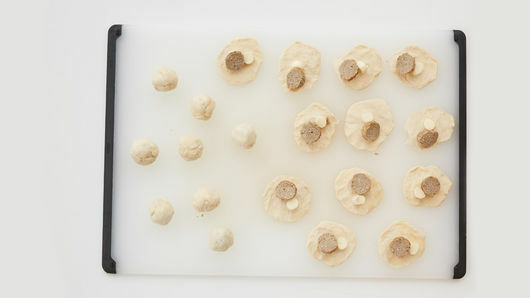 Wrap dough around meatball and cheese, pressing edges to seal. In ungreased 8- or 9-inch round cake pan, place seam side down in single layer. Sprinkle evenly with Parmesan cheese, Italian seasoning and garlic powder. Bake 20 to 25 minutes or until golden brown and biscuits are no longer doughy in center. 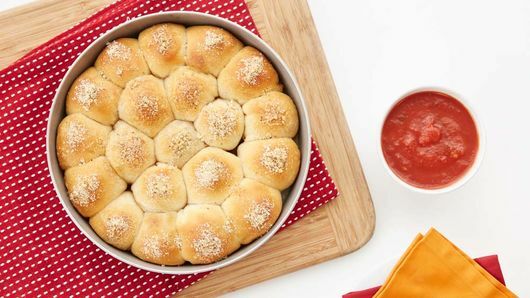 Serve warm biscuits with warm marinara sauce for dipping. The size of purchased meatballs varies. We used meatballs that weighed about 1/2 oz each for this recipe.